From the moment I set foot in America, after emigrating from Trinidad and Tobago, I promised myself I would be a BAUCE. With no financial support and a dream of becoming a model, I had to be a self-made entrepreneur early on. That’s when, in between photo shoots, I started a 24-year career as a small business owner of two childcare centers in Dallas. When I eventually met my husband, got married, and was blessed with five beautiful children, I made another promise to myself – to support my children in all their endeavors. Today, that means living in Los Angeles, CA with my three youngest children while my husband and adult children reside in Dallas. My youngest children (ages 19, 15, and 9) dream of being models, actors and musicians – a dream I know well. Making the move to LA wasn’t easy and finding a way to work while managing my three children’s busy lifestyle as a full-time talent manager was even harder. Between school, auditions, acting and music classes, and sports practices, we are constantly on the go. And a 9-to-5 job for me isn’t practical. Leaning into my skills and entrepreneurial spirit, I decided working for myself again was the best option. I opened an elderly concierge service and picked-up a side hustle delivering packages for Amazon as an independent contractor. 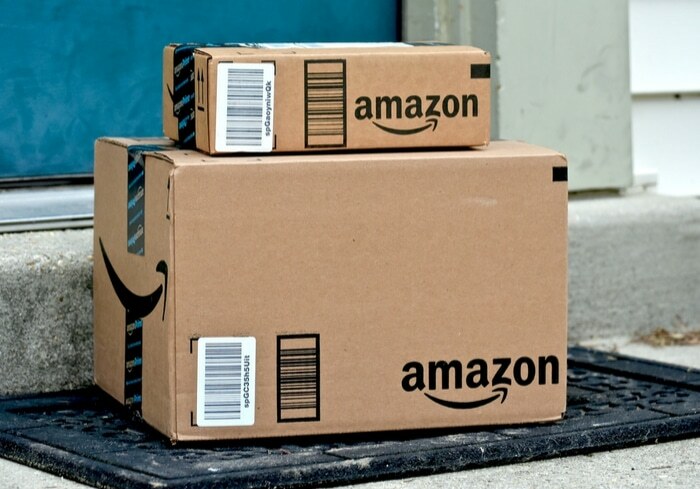 Amazon Flex is a program where people can deliver Amazon packages on their own time and in their own vehicle. I heard about Amazon Flex through a friend and decided to sign up because the pay was good – drivers, referred to as delivery partners, can make between $18 and $25 per hour. It also gives me the freedom to be my own boss and choose when to work and when not to work, which allows me to work around my children’s schedules. I signed up for the program in September 2017. After filling out a few forms online, I downloaded the Amazon Flex app, completed a background check, and before I knew it I was signed up and ready pick up “blocks” – which are delivery windows for delivering packages. Amazon Flex provided online videos and other materials that helped me understand what to expect while making deliveries. They made the process so easy and straightforward that anyone can do it. Today, I pick up blocks in the morning and in the evening while my kids are at school or at one of their acting, music or sports activities. I’m even able to take advantage of instant offers – deliveries of Prime Now packages or Amazon Restaurant orders – if I find myself with an extra 30 minutes here or there. Driving for Amazon Flex has given me the flexibility to be there for my kids. It’s also made me more familiar with LA, introducing me to people all over the city whose faces I can bring smiles to. Being an entrepreneur has always been a passion of mine, so I love that I’m able to bring in supplemental income through Amazon Flex while managing my children’s careers and maintaining my other businesses. I can hustle on the side with Amazon Flex while supporting my kids as they pursue their dreams. This article was written by By Elicia Surles in partnership with BAUCE.